My journey with Internshala - A silver lining amidst the clouds! My journey with Internshala – A silver lining amidst the clouds! 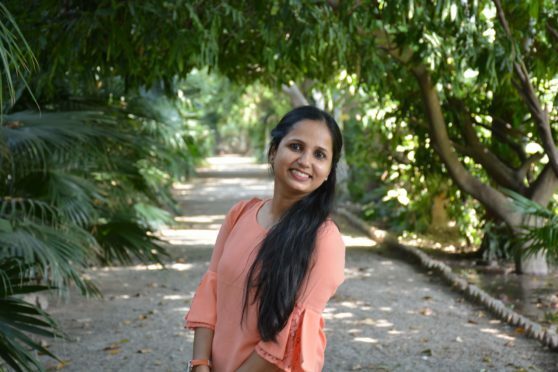 About the Author: Sapna Shukla, a student of RGPV, Bhopal, is no stranger to the millions of students who come to Internshala in search of an internship. She is working as Senior Manager – Customer Delight at Internshala and strongly believes in ‘Users at the heart of everything we do’. In this article, she shares how she overcame the roadblocks in her journey and emerged as one of the pillars of our organisation. Way back in 2013, I was sitting idle at home even after graduating with distinction in engineering. I was least interested in making a career in engineering and wanted to become an IAS officer. With high hopes and determination, I began my preparations for civil service examination, but destiny had other plans for me. Preparing for civil services required both mental and physical fitness, and having been diagnosed with chronic liver tuberculosis and migraine, it became a dual battle for me. On one hand, I was burning the midnight oil for clearing the exam, and on the other hand, I was battling the daily illness. However, my resolve to become an IAS officer kept me going. Finally, the D-day came and I attempted my civil services examination. While I qualified the prelims, my body didn’t allow me to put extra efforts to study for the mains. As a result, I couldn’t get through the mains and was left devastated. In order to satisfy my desire to be a civil servant, I wrote a few other government exams but the fate repeated itself, and not qualifying for even one of those exams pushed me to a feeling of sadness and disappointment. I had lost both hope and passion. Days passed, seasons changed, but my fate remained the same until one of my friends introduced me to internships. I started searching for opportunities and applied to a few internships on Internshala. Within a few days, I got hired by an organisation and was asked to join. This was too sudden for me, so I declined the offer. Then, I applied to Internshala Business Apprentice Program with Internshala itself and got shortlisted for it. As the next step, I submitted an assignment; it got accepted and a telephonic interview was scheduled with Sarvesh, founder and CEO of Internshala. The telephonic interview was scheduled for 5 PM. I was anxiously waiting for the call but I didn’t receive any. I waited till 7 PM, and disheartened, I checked the spam folder, hoping to have received communication. And there it was – an email from Sarvesh that he was unable to connect with me over a call and asked me if we could reschedule the interview for the next day. After an hour-long grilling session, I completely lost the hope of getting selected since I stammered a lot due to nervousness. Little did I know that just like everything else about Internshala, the hiring would also take me by surprise. A few days later, I received an email mentioning my long-awaited victory; I was hired as a student counselling and support intern! My family was concerned about my poor health and Delhi’s questionable safety for women. I convinced them to let me take this chance as I was certain that this could bring a change in me and reignite my aspirations. Life, however, is a journey of ups and downs. I met with an accident 4 days prior to my departure and was asked to take bed rest. Though I now had a lot of inhibitions and bad thoughts in my head, I knew I had to join Internshala. So, I wrote to them regarding this, and they gave me an extension of 15 days. Finally, on 12th October 2015, with butterflies in my stomach, I entered the office and began a new phase of my life. With time, I regained my confidence and came out of the depression I was battling – thanks to the wonderful team and the delightful work culture here! The internship helped me identify the real me and pushed me harder to do better in life. And it is gratifying to say that I am now helping millions of students make informed career decisions! Want to know what happened next? Stay tuned for my next article! Editor’s Note – If you feel inspired by Sapna’s journey of courage and conviction and wish to realise your true potential, you can be a part of our team too. Please visit here to apply. From 800 to 15,000 – What a journey it has been!